Does Profit Motive Kill Companies? Less than a quarter of the U.S. workforce is passionate about their current work. Worker passion is a key requirement for effectively responding to the ongoing, disruptive changes in the business environment. Performance continues to decline. Whether measured through return on assets (ROA), return on invested capital (ROIC) or return on equity (ROE), the long-term downward trend holds true. We discuss this in the context of several macro-trends –transition to a service economy, M&A activity, outsourcing, and growth of intangible assets. The economic downturn, in particular the lack of access to capital, decreased consumer spending and the resulting business bankruptcies, has had an impact on some of the indicators. However, we believe these are short-term effects and that the long-term trends will resume. That drop in return is pretty hard to ignore. The argument is that the Internet world has empowered customers and dramatically reduced the ability of hierarchical large organizations to extract large profit margins. Are companies having a harder time differentiating, monopolizing, and then extracting huge profits because the Internet has made the markets more efficient by empowering consumers? Some PhD economics candidate should do the research and statistics needed to find a correlation if one exists, because it is a fascinating proposition. Meanwhile, let’s assume it’s true. It certainly agrees strongly with the conventional wisdom about what the World Wide Web ought to do. Perhaps one other force should be considered beyond (but somewhat related to) the Web, and that is competition. I remember having a discussion via Letters to the Editor (quaint!) back in the 80’s with Bob Metcalfe, inventor of the Ethernet. He was musing over the issue that year after year, economists could find no evidence that technology was increasing productivity at all. He couldn’t understand how that could be possible. At the time, I suggested competition as one answer. If markets are competitive enough (e.g. efficient enough), as soon as one company gets an innovation, others must immediately seek out the same innovation, nullifying the differential advantage to the first company. This is the view that sometimes innovation is an arms race. I think that in general, this is true, unless the innovators can find ways of preventing their competitors from seizing the same advantages for themselves. Companies have gotten pretty good at this by employing patent protection, network effects, and whatever else they can bring to bear. Apple is well into the process of pressing this sort of advantage for their iOS devices, and companies like Google and Facebook are enjoying the protections of network effects to keep the likes of Bing and others largely at bay. From everything I’ve seen about the results of Bing versus Google directed traffic to my web sites, the Bing traffic is much more likely to convert to a sale (i.e. the search engine did a better job of directing those who were actually interested), but there is so little traffic relative to Google that Bing and Yahoo together are not worth worrying about too much. The proportion of traffic is much less than market shares would suggest–presumably if you are going to deliver more focused searches, there must be fewer of them. It’s scary to think that Google might game that situation by “de-tuning” their searches a little bit. But we digress. The gist of the argument about return on capital and market efficiency is that innovation must proceed at an even faster pace and that the Innovator’s Dilemma will therefore become more and more common. Once entangled in the web of misplaced incentives and forced cannibalization of valuable businesses, most large organizations cannot successfully navigate their way through. They die or at the very least are severely injured by paradigm shifts. As I look at Apple under Sculley and his successors, I don’t find this to be a “clean kill” sort of argument. During that time was Apple actively suppressing Innovation in favor of Profit Motive? Perhaps, but they certainly seemed to be trying to innovate. Unfortunately, they shipped some turkeys at the time like Newton. This leads me to the question around all of this that comes of peeling back a layer or two of the onion. Is the problem with Profit Motive who it empowers in the organization rather than the motive itself? For example, James Allworth says in his HBR blog that the only one at Apple concerned with profit is the CFO. At companies that are highly profit incented, one typically finds a very highly paid VP of Sales and the CEO on commission and bonus plans that are heavily weighted to the short-term. Marketers and engineers, not so much. Sure, they may get bonuses, but they’re much smaller and these professions typically make due with stock options for the big swing. Speaking of which, many argue that stock options turn into short-term motivators because they’re lottery tickets for executives who artificially increase the risk leverage to the company in hopes of blasting the options to sky-high valuations. I’m more skeptical about that, but the argument is being made. Yeah, we had a great year but the company just couldn’t innovate and eventually withered. I had to move on. That’s a pretty differential result from the rest of the company and it’s investors. Lately, VP’s of Sales have been commanding the same or nearly the same options as the rest of the team, so they literally have no downside. I’m not trying to pick on Sales, I’m just actively wondering what this kind of compensation does to the team dynamics and the running of the company through the thick and thin that is standard fare for small companies. With that much at stake, and the CEO often being compensated similarly and a Sales guy himself, that’s a lot of force in the direction of maximizing those comp plans. Perhaps Apple had a built-in advantage that their business model does not require a highly compensated VP of Sales. One wonders what companies that do require a VP of Sales (i.e. those with large transactions) can do to combat any short-term tendency to avoid Innovator’s Dilemma. It’s going to take one heck of a strong CEO to take the proverbial birds in the bush rather than the one in hand, and Boards should consider whether they want that CEO to be a Product Guy who is not compensated via too much short-term incentive rather than a Sales Guy who stands to make as much as the VP of Sales by goosing the numbers short-term. Meanwhile it may all be for naught as Wall Street is almost entirely short-term focused as well. Less than you’d think, probably, but enough so it’s worth hashing over. It means Oracle will spend less and less time running down the Cloud and more and more time monetizing it for their own coffers. That’s no surprise. Consider this the final signal that the Cloud is here to stay and it’s mainstream. In fact, most of you naysayers will be surprised to learn that this bell that’s Oracle is ringing is actually the signal that the Cloud is the future and resistance will be just as futile as trying to convince your shareholders not to accept Oracle’s check for their shares. The Cloud is so good, so mature, and so inevitable that Oracle’s Buy-It-And-Milk-It-Without-Much-Further-Innovation Machine decided to pick up on it. That’s telling you it’s pretty darned mature folks. We’re past the Early Adopters, Past the Chasms, and onto the very last parts of the food chain. Somehow it’s appropriate that Oracle gets to be the Apex Predator in that metaphor. It means Salesforce will have to step up their innovation in the Customer Service arena, which hasn’t been so hot (the innovation, not the arena). That’s a shame, because they’ve been at it for a while, and should’ve been in a position to dominate what is a very large and lucrative market that is extremely compatible with SaaS. Sorry guys, but a little French Knowledge Base technology, a little Chatter, a little of this and a little of that does not a World Class product make. We’re going to be unsure whether Salesforce is a one trick pony for quite a while longer. Force and the Customer Service portions are interesting, but they’re not yet compelling. BTW, it also means that Oracle will be sitting around wondering how to rationalize Siebel with RightNow, meaning nothing will get done as everyone does the “What does it mean for my career?” dance. Customers who are on the Siebel platform will wonder if they’ll ever see another innovation (well when did you see the last innovation) or whether they should turn the lights out and move to RightNow. Oracle, being no dummies, will announce that a future Fusion-based product will rationalize all this and make it easy for everyone. Step away from your wallet, Mr Customer, there’s no need to disturb those maintenance payments because these are not the ‘droids you’re looking for. Startups in the Customer Service space will be arguing that it makes the space bigger. Their investors will argue that it means the music stopped and there aren’t going to be enough chairs for everyone. Look for those closer to IPO who are Social and have identified Customer Service as a key market to be more successful at the former (yay, Jive!). Look for those that are smaller and need a lot of runway to get to even a hope of IPO to land more towards the latter. Capital will be harder to come by. Sorry guys, you may have to live without any more rounds. But take heart. Maybe this will trigger a round of “Strategic” acquisitions as big Customer Service players evaluate whether this means there is a hole in their portfolio that your startup will handily fill. I can’t think of any cases like this, but it doesn’t mean there aren’t some. For the rest of you SaaS companies, guys, party like it is the late 90’s again. Oracle just put a floor under your valuation. If your growth slows, you can be bought and added to the Red Hoard, or is that the Red Cloud now? Just be alert if there is more than one of you in the space to what it means if one is bought and it isn’t you. I would draw no other conclusions whatsoever. Whatever RightNow has other than revenues and the possibility of a plan to cut unnecessary expense to wildly expand profitability, that’s all that matters. Whatever conspiracy theory you may have about the underlying tech, execs, or whatever–forget it. You’re over thinking it. 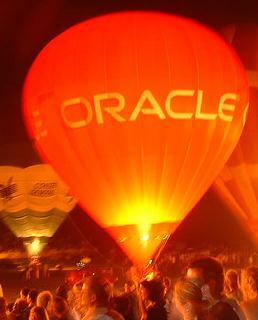 The Oracle Machine has to be fed on a regular basis to sustain growth. That’s all that’s happening here. It’s not particular about what it eats other than that revenue and cost cutting part. OTOH, if you really don’t want to be bought, you had better be able to keep growing and running fast. Those sounds of flesh being ripped from bones, that crunching of marrow noise, well, that’s what the Machine sounds like when it’s just around the last corner you turned. Interestingly, I found two great articles about the death of innovation in my blog reader today. First up was Venture Capitalist Peter Thiel, writing that innovation had stalled and largely arguing it is the cause of our economic woes. He goes on to suggest we restart it with energy, and somewhat cryptically speaks of constructing hundreds of nuclear reactors. Thiel’s articles are always long, and somewhat opaque, but this one is worth a read. As so often can happen in the Internet world, juxtaposition unnaturally amplified Thiel’s thoughts as I immediately came across another article, this time by Science Fiction author Neal Stephenson. The articles echoes several of Thiel’s thoughts about the death of innovation and the questions around why we haven’t seen more innovation in the energy area. Being an SF writer, Stephenson also wants to know what happened to our space program. He wonders in general why we can no longer execute large scale innovations such as we did during the 60’s and 70’s. Perhaps the most interesting part of Stephenson’s musings concerns the damage our connectedness does to innovation. I find this entirely plausible in the sense that innovation is evolutionary. Innovators are very seldom the first ones to think of an idea, they just may be the first ones to get the timing and execution right enough to succeed in popularizing it. But what happens with too much connectedness? As Stephenson puts it, when we have something we think is a great idea, we hop on the Internet only to discover someone had the idea but failed. What if we hadn’t know they’d failed? Could we have carried out that great idea and succeeded? Perhaps we could. I was watching an interview with Wozniak about Jobs (sorry, didn’t keep the link and it seems there are many) and he was asked at one point about Jobs’ legendary penchant for secrecy. Woz gave a fascinating answer that boiled down to the need to let an idea develop far enough before it was subjected to too much criticism. Shades of the idea Stephenson has. 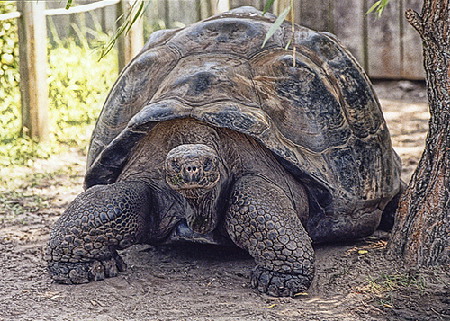 Perhaps great ideas need some sort of Galapagos Island where they can go an be isolated long enough to come to fruition. Perhaps that was the true advantage Jobs had in not listening to customers and not exposing the ideas to public critiques before they were far enough along that their true gestalt could be experienced. There is an argument that this connectedness downfall affects Silicon Valley. While it is extremely helpful to be able to join the network that is Silicon Valley, still, it is overly connected when it comes to critiquing ideas and being all too aware of failures. What happens to Venture Capital firms as partners age and catalog an almost unassailable wall of failure experiences. “Sorry, we won’t invest in that idea, we’ve already seen something similar fail.” Entrepreneurs decry the herd mentality, but it doesn’t necessarily follow that the herd isn’t smart just because they are a herd. Perhaps the issue is the herd has just seen too much carnage around the periphery and so they spook easily. Maybe we just need to spend a little less time worrying about the other guy’s failures and instead focus more on our own success. 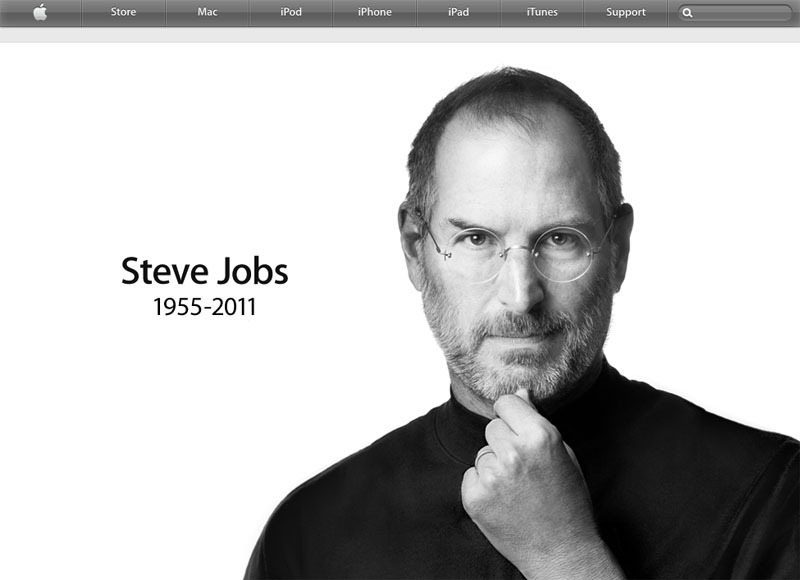 In a world that so embraces this “new approach”, it’s sad to see the passing of Steve Jobs. Steve had no interest in the minimum viable. He had no concerns for getting feedback before creating what he did best: Insanely Great Products. In reflecting on his passing, I wonder about our future in the world of Technology. Will we ever get back to building Insanely Great Products? Is there really no future in having Vision and an uncompromising passion to make it into Insanely Great Products? What is the role of excellence, aesthetics, and beauty? What about hope, promise, and dreams? What about changing the world with technology? Must we build everything with checklists, committees, and focus groups? The first Dot Com Bubble did us a great disservice by introducing the notion that all that matters is getting there first with the right idea, riding the bubble, and having a big enough portfolio to weather the bad ideas. It did us a disservice by conditioning us that Insanely Great is so rare as to be not worth pursuing. It made us entirely too dependent on catching the next Bubble instead of Creating the next Great Product. Steve Jobs worked hard to show us we were wrong. First with the iPod, then the iPhone, and finally the iPad. Clearly, there is plenty of life in Insanely Great. Given Apple’s financial performance relative to those who played it safe or depend on a monopoly that steadily wears out with the pace of technology change, it may be the only enduring way to build an Insanely Great Company. Steve, your legacy will live on. Let’s hope others will have the courage to try to follow in your footsteps. Let’s hope Apple can keep the Passion for Insanely Great burning.